This video is from a String Day at our Hove shop. Stefan demonstrates the violin and effects that be achieved. 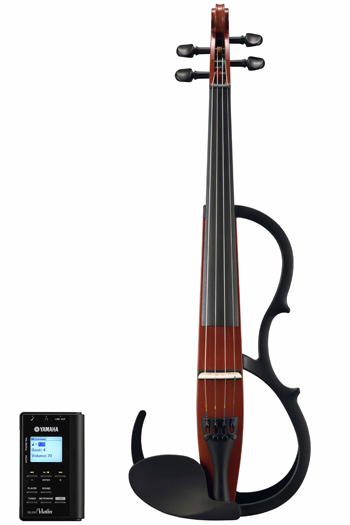 Ackerman Music are one of the leading suppliers of Yamaha Electric Stringed Instruments on Europe. What does this mean for our customers? We have extensive knowledge of the complete range. We have been supplying Silent Strings for over 15 years now, from the early days of the SV100. If you need help or advise on different models, please contact our Hove shop. We endeavour to keep all the models in stock and in all colours. We do try and plan ahead, as some models can have a waiting list of many months from Yamaha. Our prices are the best you will find anywhere. You can come to our Hove shop, where most models are available for you to try. You will not find such a complete range anywhere else. All instruments are checked through our workshop before being delivered. Our main specialist Simon has been playing and testing these instruments for over 14 years now. 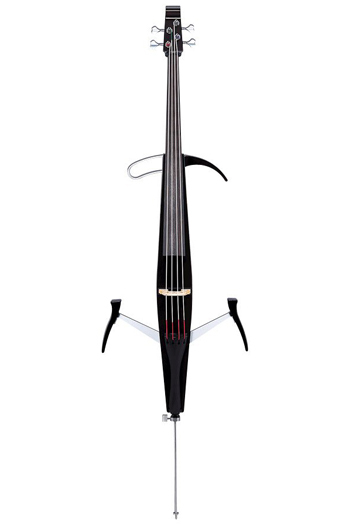 Here are the links on our website to our full range of Silent Strings. 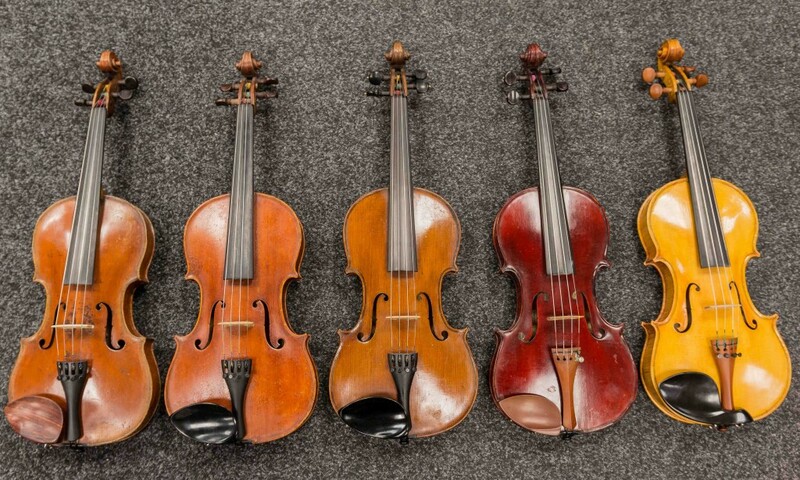 There are many types and qualities of bows for stringed instruments, but they all have one thing in common: the importance of maintaining your bow correctly. When a bow is in its instrument case, it must always be loosened. With a reasonable quality bow, this means that the hairs will touch the stick, somewhere near the middle. If a bow is left taut all the time, the following can occur: with a cheap bow, the stick will quickly ‘go to sleep’ and lose its natural spring; this means that each time you tighten the bow, you will have to wind it up that much more to get the required tension for playing, it may also cause the hairs to pull out, either at the frog end of the bow, or at the tip; occasionally, the stick may snap. 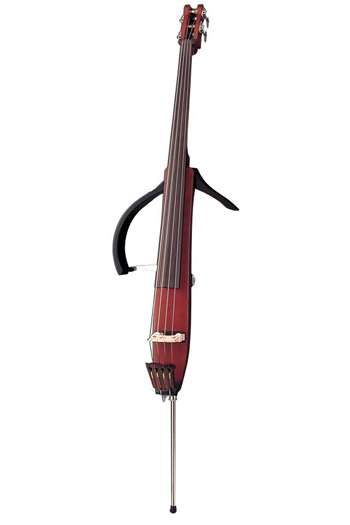 With a quality bow, these things may not happen, at least not as quickly, but irreparable damage can start to occur to the second most important tool in your instrument case: the bow will start to warp; as you look down the bow from the frog, the stick will curve: to the right on violin/viola and to the left on cello bows. This warping can sometimes be rectified, but this is expensive and time consuming and doesn’t always work. Your bow will sometimes need re-hairing; many new players often mistake this for the thread in the tightening screw seizing up and many bows are brought into Ackerman Music because they won’t tighten up any more. In reality, it usually means that the hair has reached the end of its travel and will need replacing. You can usually see if this happens, as the the very end of the the hairs, where they join onto the slide into the frog, will appear very slightly discoloured and the width will be very marginally narrower. With entry level student bows you will usually need to purchase a new bow at this stage, as this is cheaper than having a re-hair. Finally, always make sure that your bow remains clean; don’t be tempted to over-rosin the bow as this will leave a white, sticky residue over the stick and the front of your stringed instrument. If you do load too much rosin on to the hairs, you can use a quickly evaporating spirit, such as lighter fluid, to clean them, but be careful not to get it onto the stick. Even with a good bowing technique, after prolonged playing, we can get tired, which can cause our hands to creep up the bow and thumbs to move from the thumb leather and onto the hairs, which will leave a dark, greasy mark, this can also be removed with lighter fluid. If there’s a sticky build up on the front of your instrument, please seek professional advice, as the wrong cleaning product can easily damage the varnish.